For the last month I have been working on a boat commissioned by the new Japanese garden at the Frederick Meijer Botanical Garden & Sculpture Park in Grand Rapids, MI. They had a restricted space for a boat so I chose a design of a river boat I had studied on the Hozu River in Kameoka, Japan. This type, called an ayubune, features a wide plank bow, like a pram, which gives the boat more volume for a given size. That construction was required on the Hozu, which has stretches of white water. 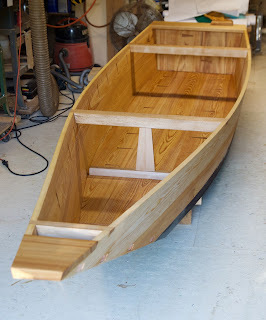 The wide stem give the bow more buoyancy and resists burying navigating white water. 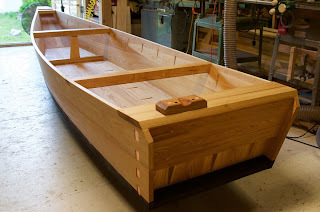 I built the boat using southern cypress from stock I bought years ago from a mill in Virginia. The bottom and side planks were all edge-nailed using hand forged nails made by blacksmith Jim Fecteau of Huntington, Vermont. 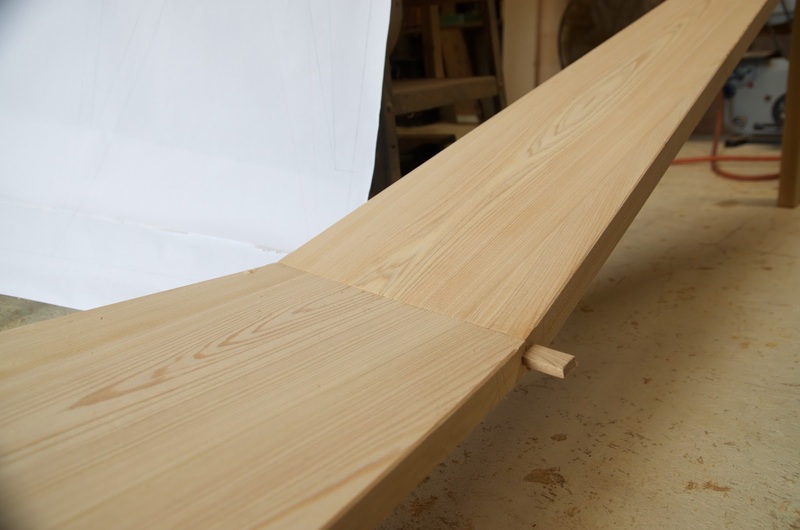 The wide bow also facilitates bending the side planks since the curve and twist is less severe. I did make one center mold which is not traditional to Japanese boatbuilders, but I wanted to ensure the two side planks stayed at the same angle, and it simply speeded the process along. When I was in Kameoka researching these boats I had the opportunity to interview the last man who built them. His father had spent his life building boats and the son (my age) apprenticed with his father but spent most of his career building fiberglass boats. 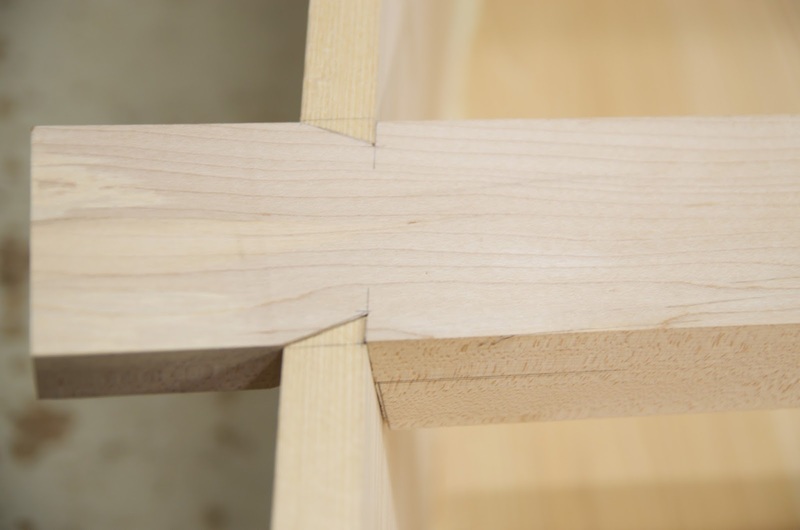 He told me the bow/bottom and transom/bottom connection was a tongue-and-groove joint. 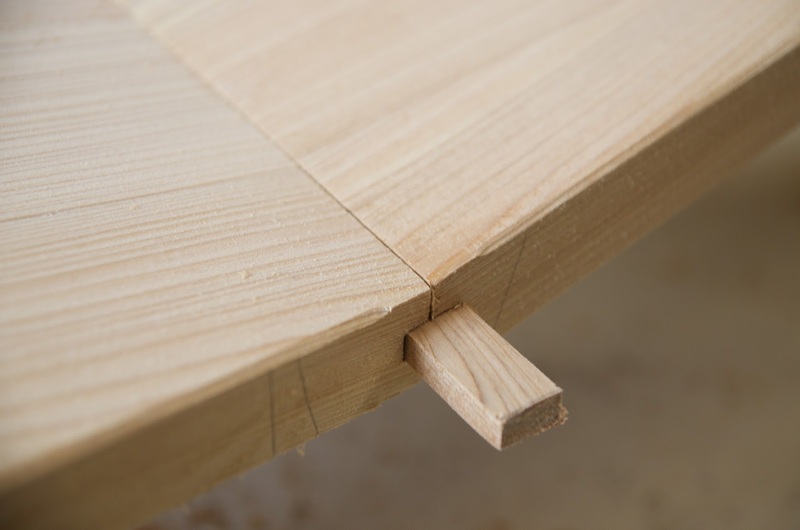 I mimicked what he described, but used a spline instead of a tenon. 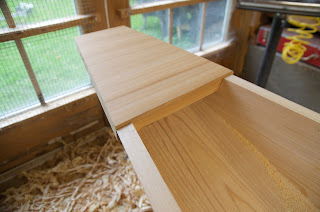 I routed a groove in the edges being joined and then inserted a spline when I assembled them. It was easier to make the joint more precise this way and I could gain some strength by having control over the grain direction in the spline. 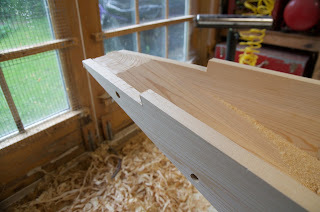 The decks fore and aft are let into the side planks and the beams fasten with a half lap dovetail joint. 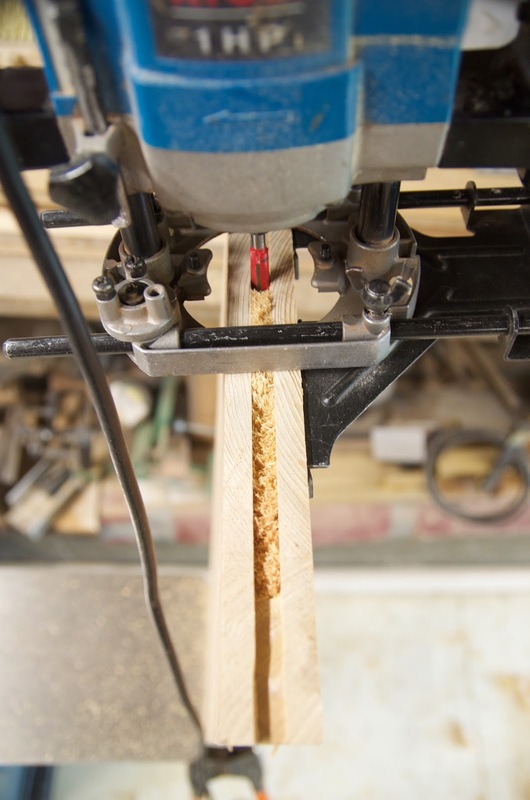 There is one floor timber that is connected to the beam with a vertical plank. 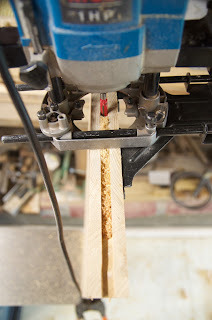 I made a twelve foot sculling paddle which can also be used like a pole. On the Hozu most small boats like this one were poled with bamboo push poles. 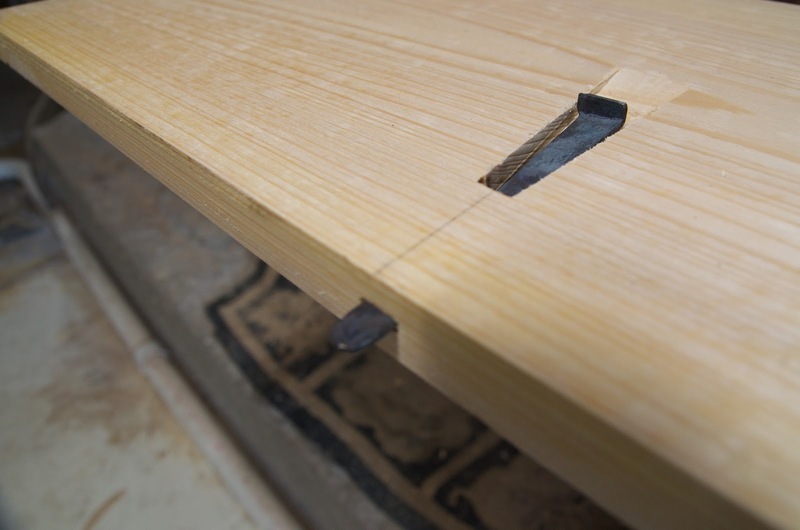 In Kameoka I was able to measure historic ayubune in 15, 18, and 24-foot lengths. 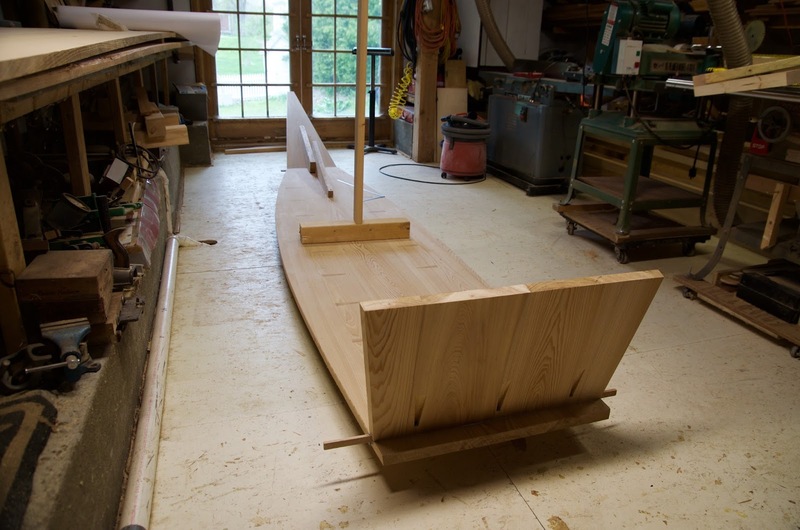 I am teaching my Winter Term course in Japanese boatbuilding at Middlebury College next year and my plan is to build the largest version with students. 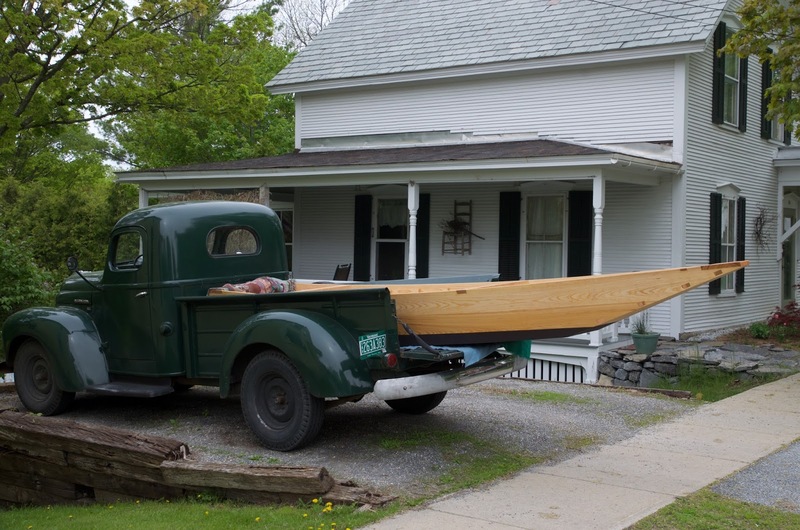 I dropped the boat off Saturday at Adirondack Guide Boat in North Ferrisburgh, Vermont for shipping to the customer. 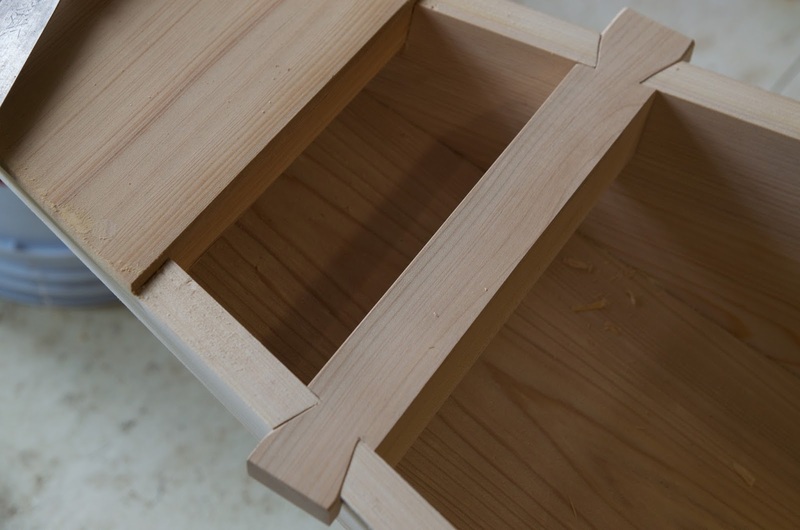 I am writing this post on the plane to Japan. As I mentioned in a blog post last January, I am going to be building a cormorant fishing boat in Gifu, Japan with Seichi Nasu, an 85-year old boatbuilder. 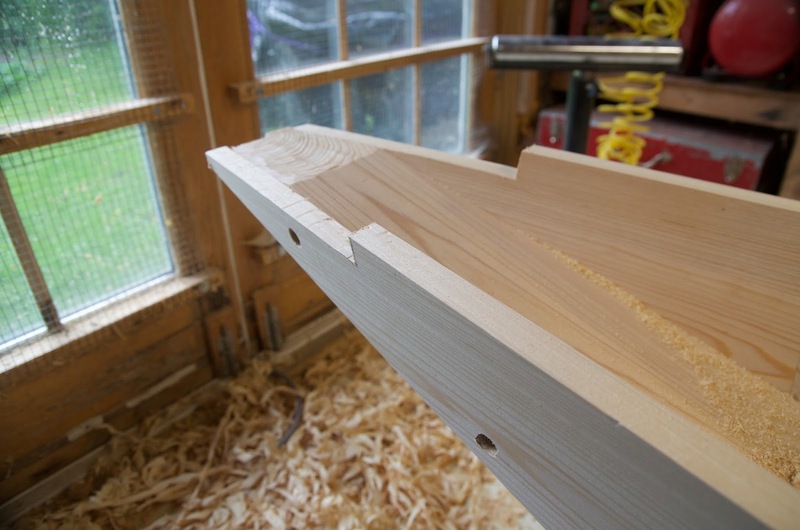 This project has been years in the organizing and fundraising, so stay tuned for regular posts chronicling the construction of this very unique boat. 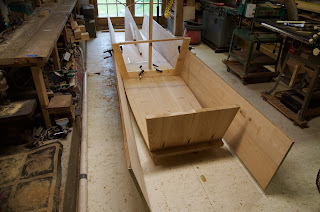 As an addendum to this blog post, in October of 2018 the Garden sent me a series of photographs of the boat in the water. Below is a selection. Note: all photos below courtesy of Frederik Meijer Gardens & Sculpture Park.